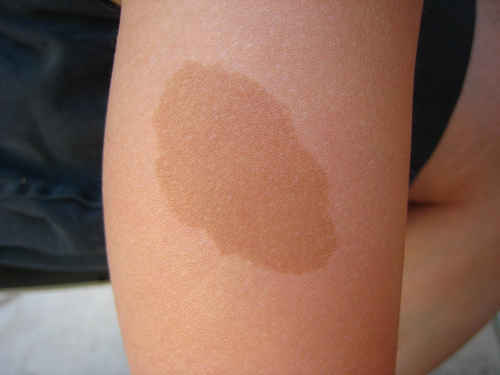 A birthmark is a benign irregularity on the skin which is present at birth or appears shortly after birth. They can occur anywhere on the skin. Pigmented birthmarks caused by excess skin pigment cells include moles, café au lait spots, and Mongolian spots. Red birthmarks are caused by increased blood vessels.we can use dermatological lasers to reduce size or color, or dermatologic surgerys removal for cosmetic reasons.